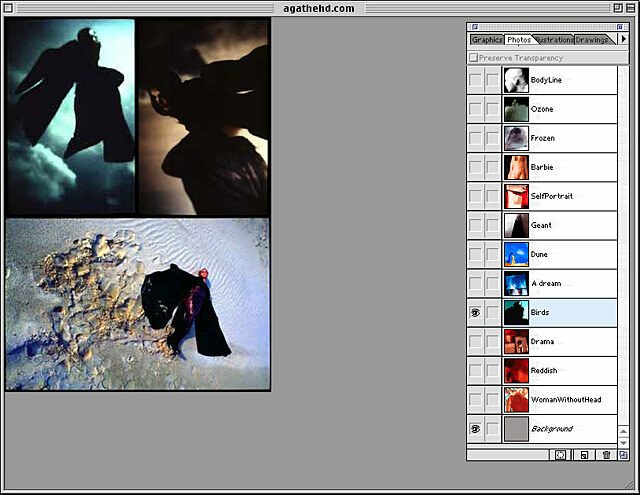 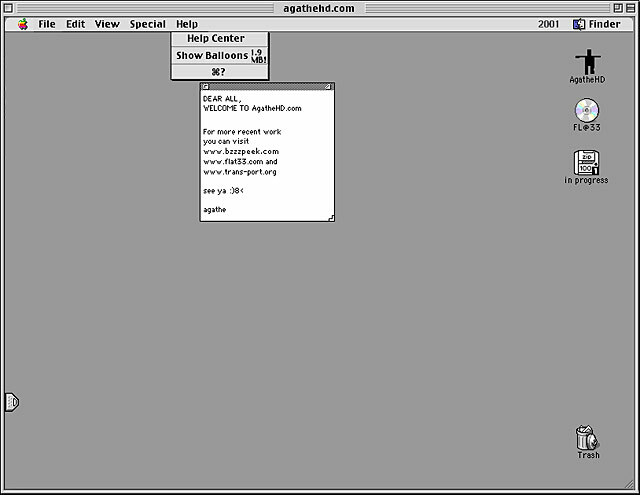 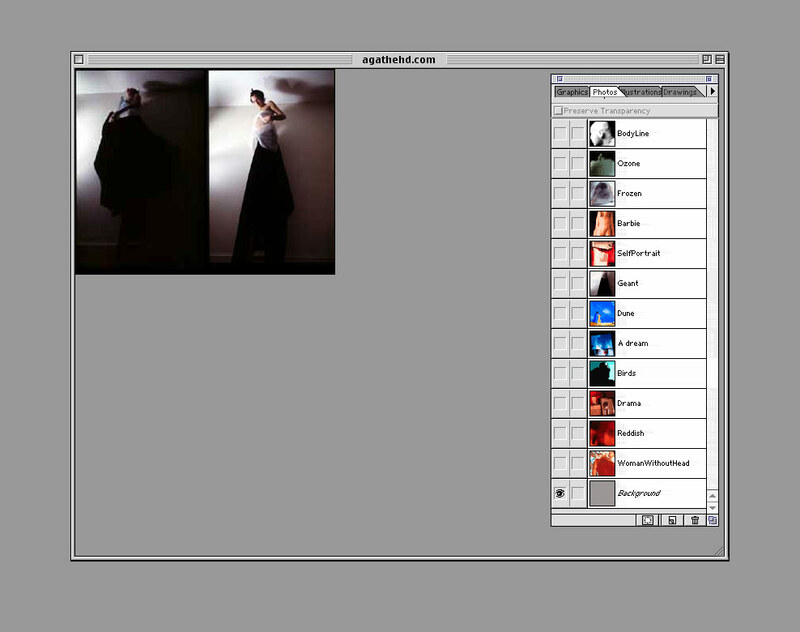 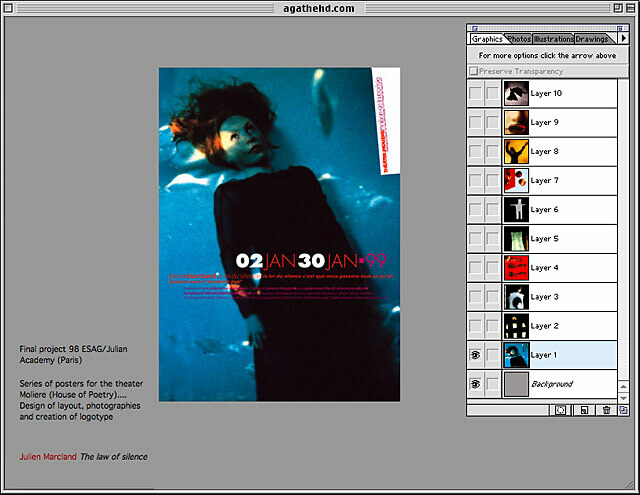 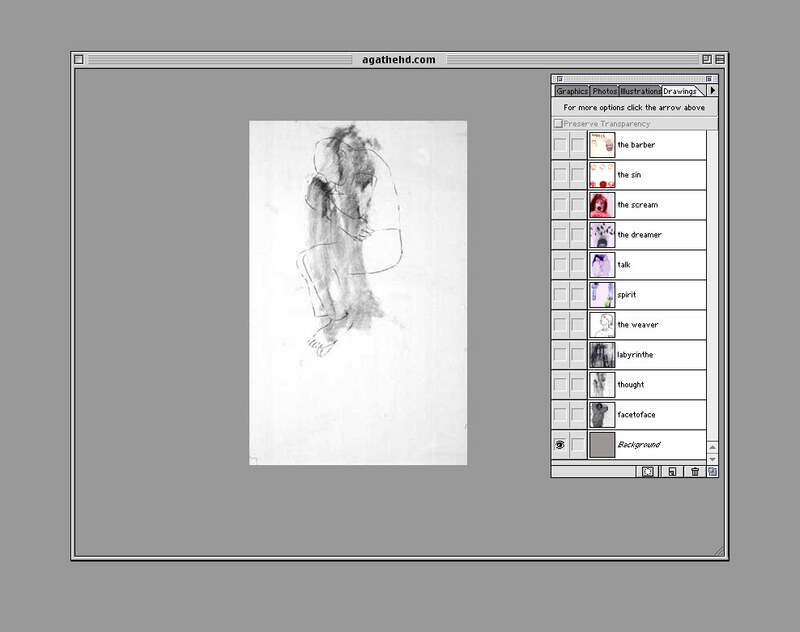 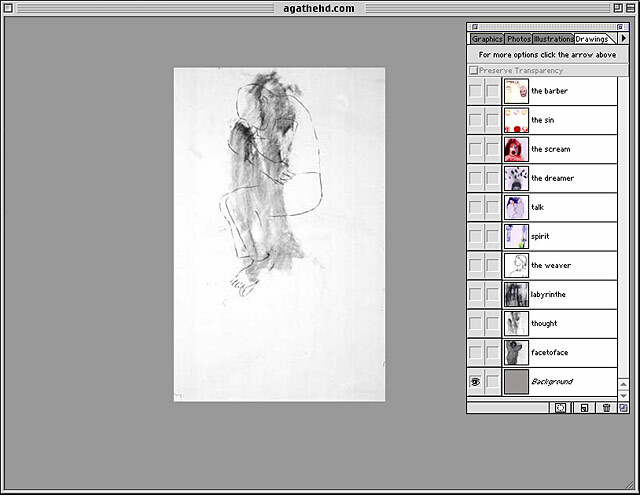 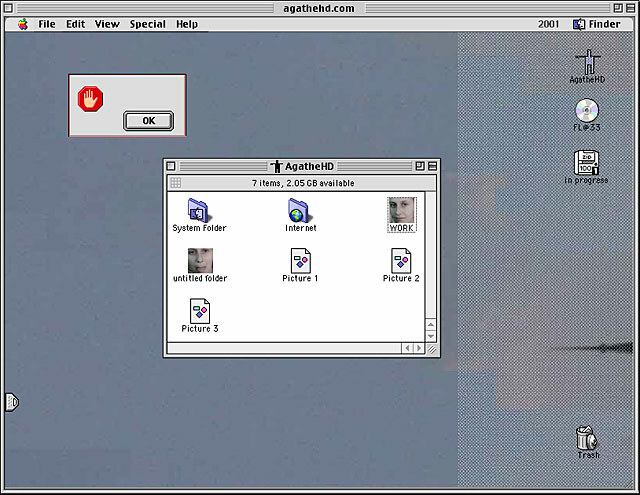 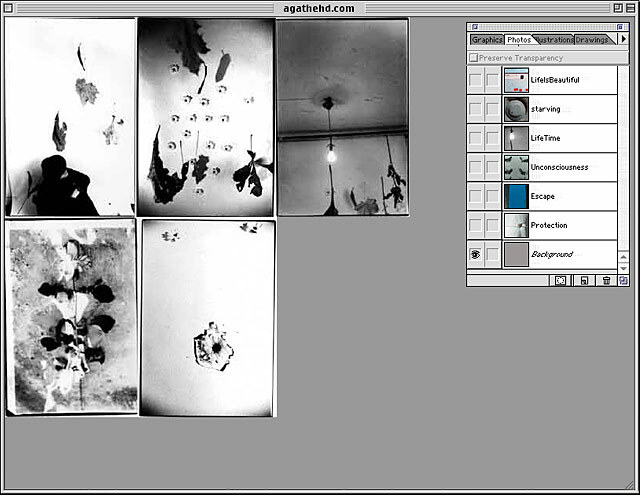 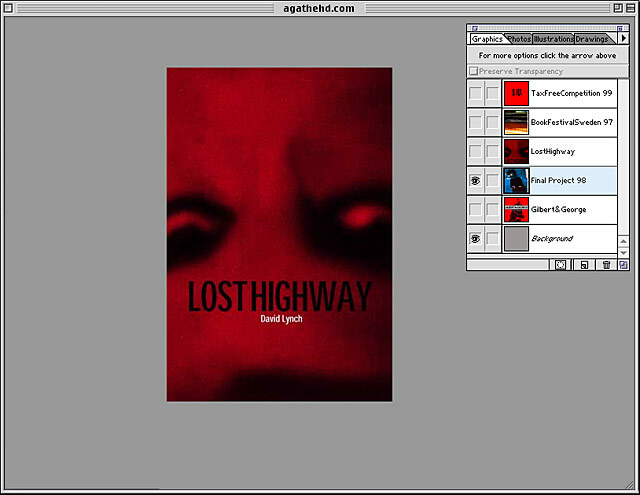 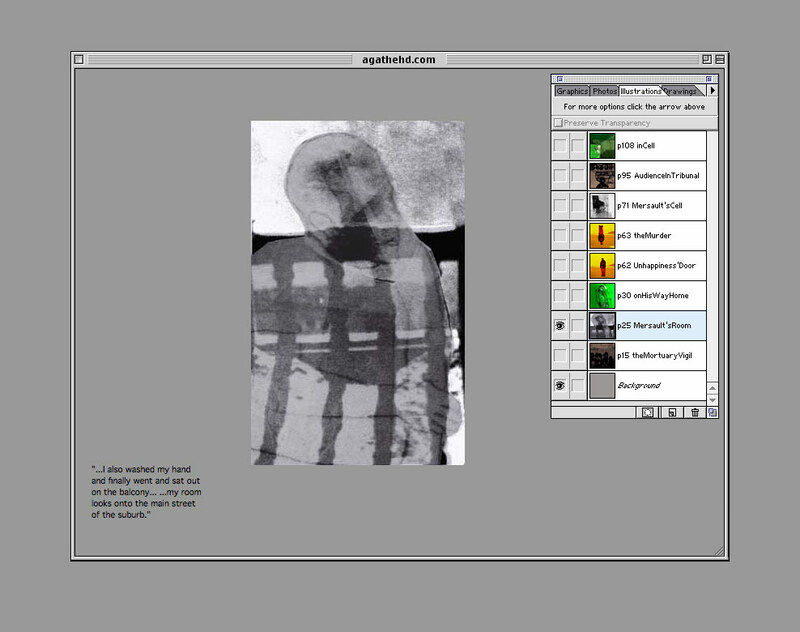 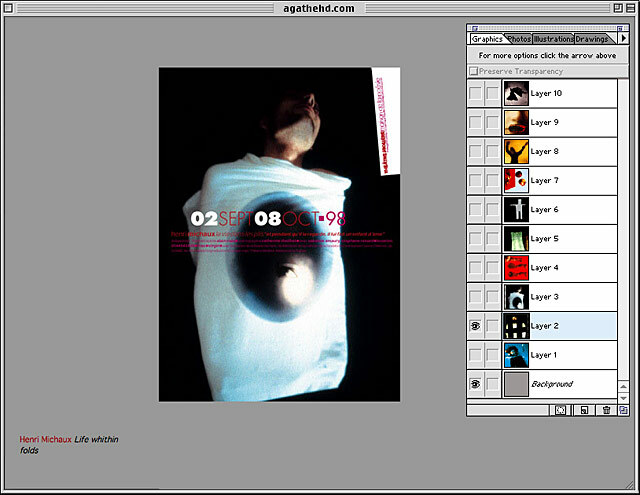 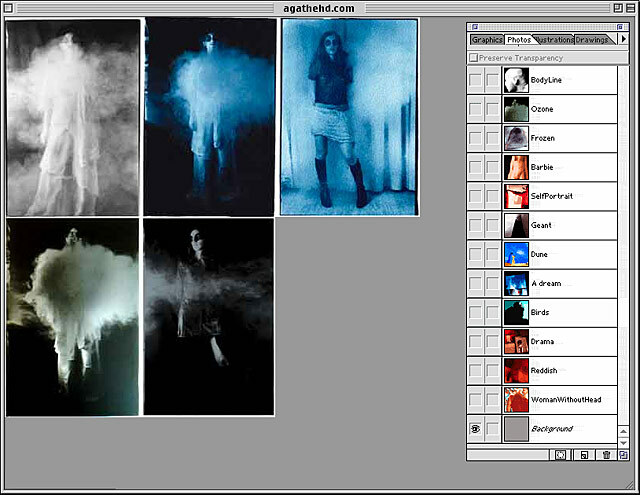 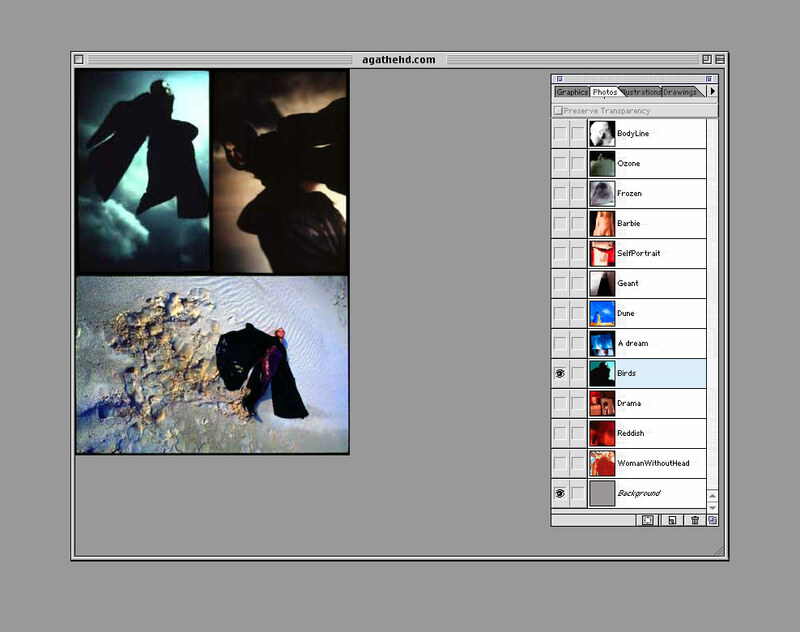 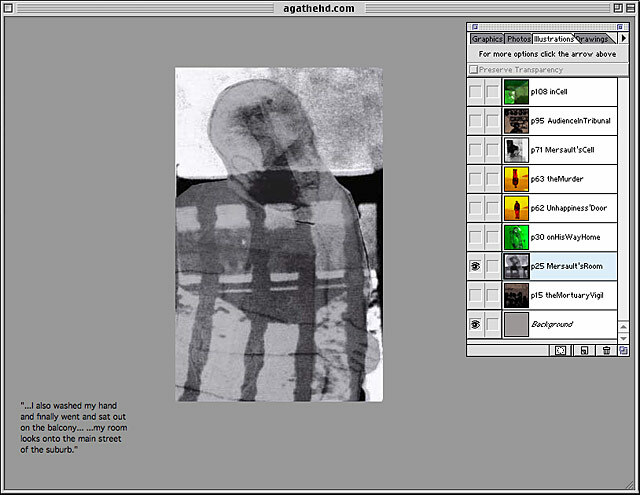 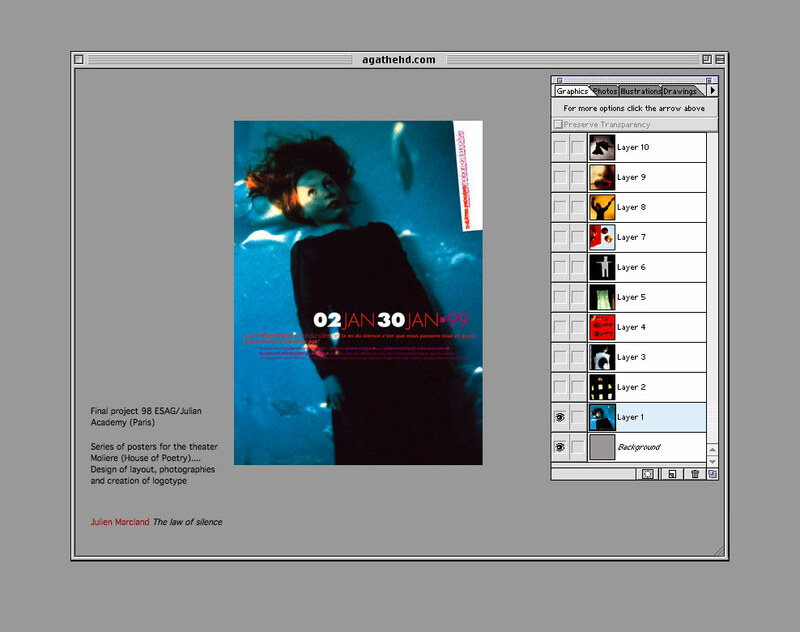 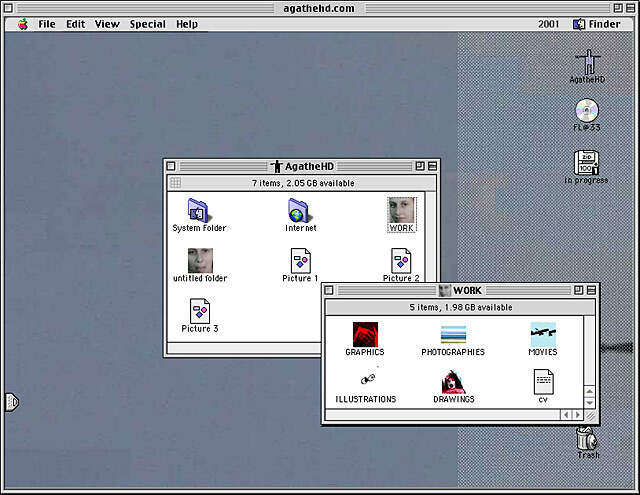 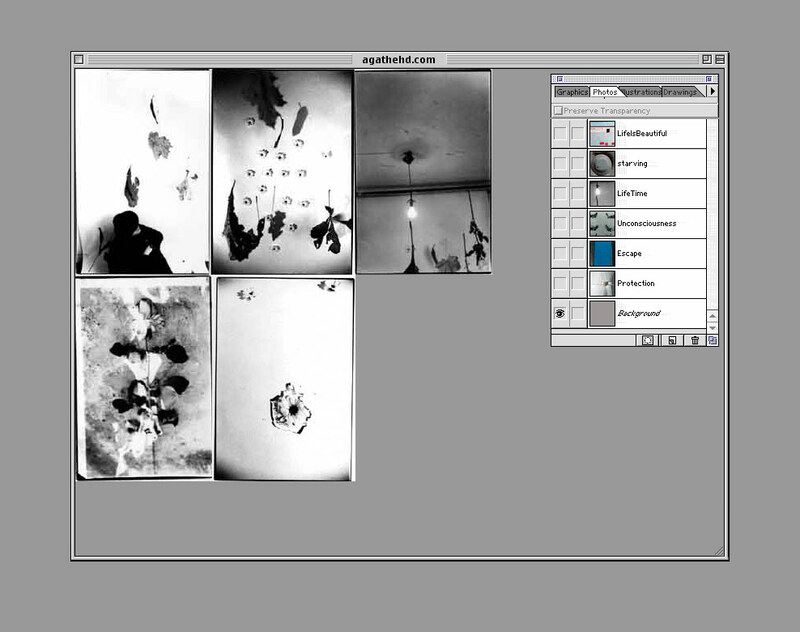 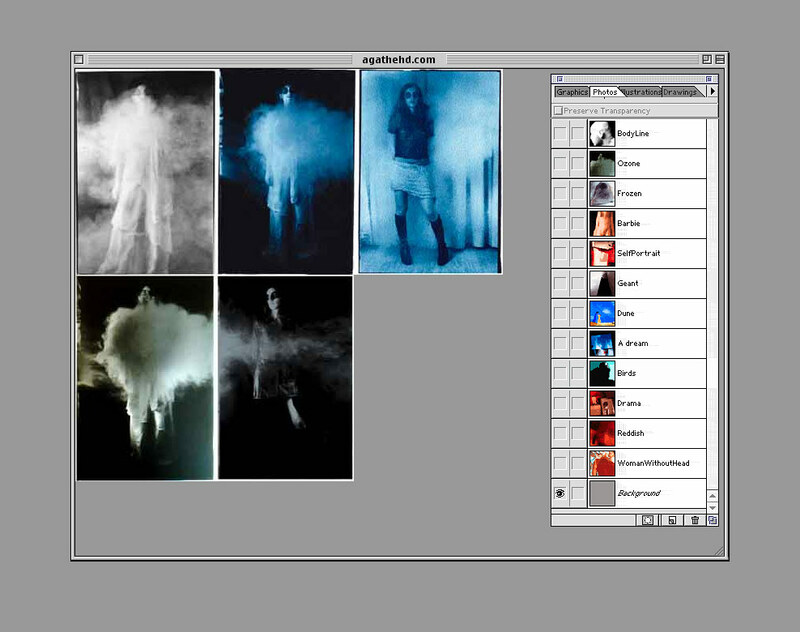 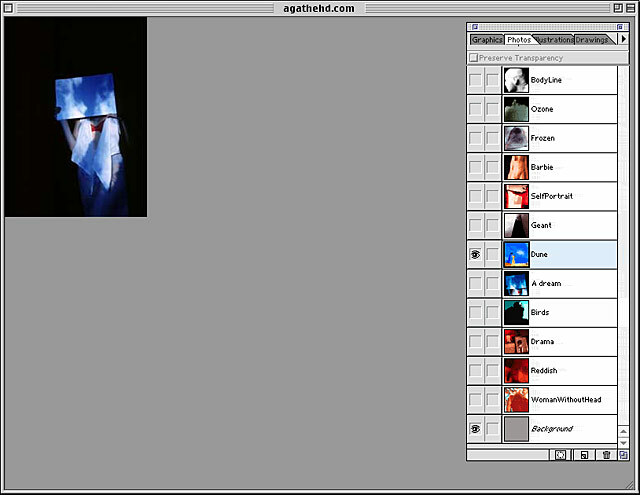 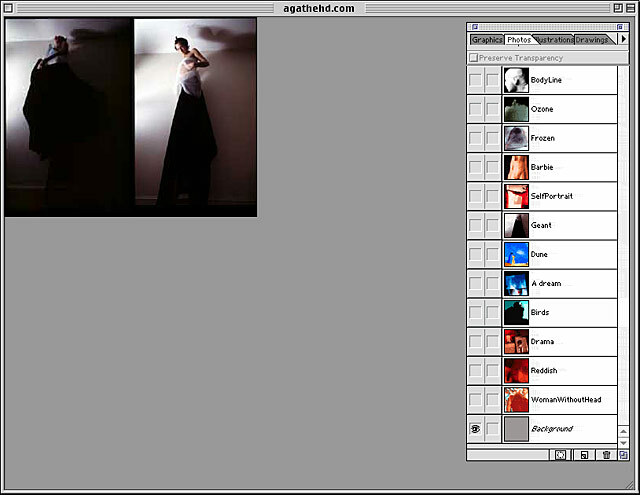 Developed between September 2000 and january 2001 – agatheHD.com was the first portfolio website designed and built by FL@33's very own Agathe Jacquillat. 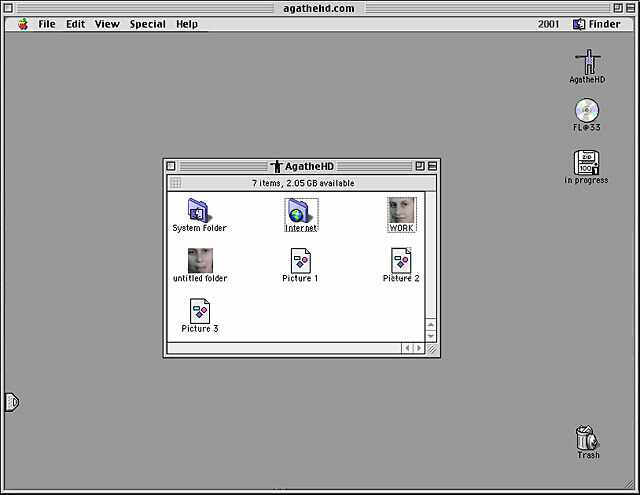 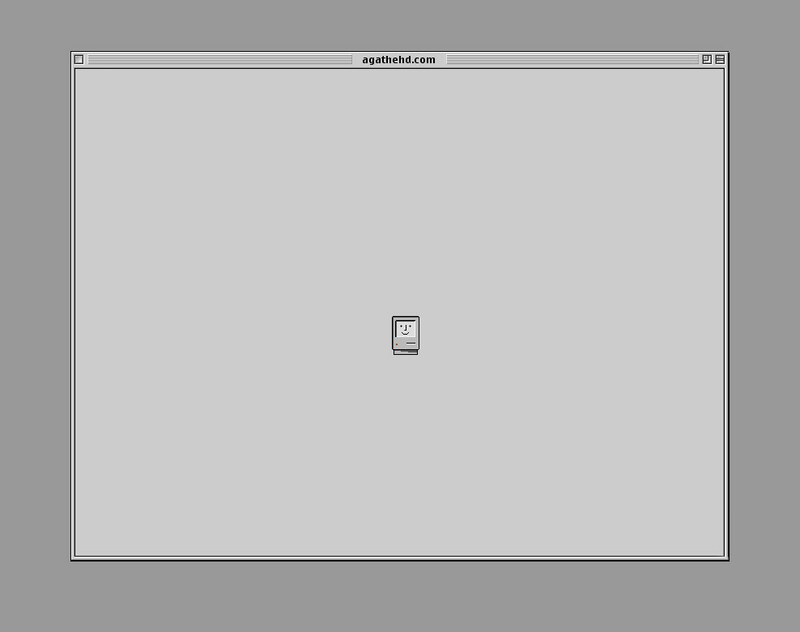 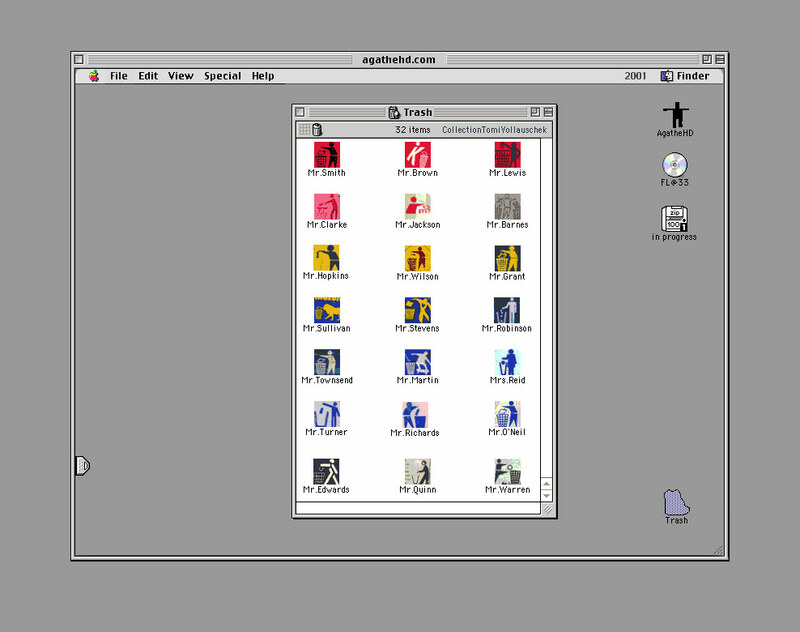 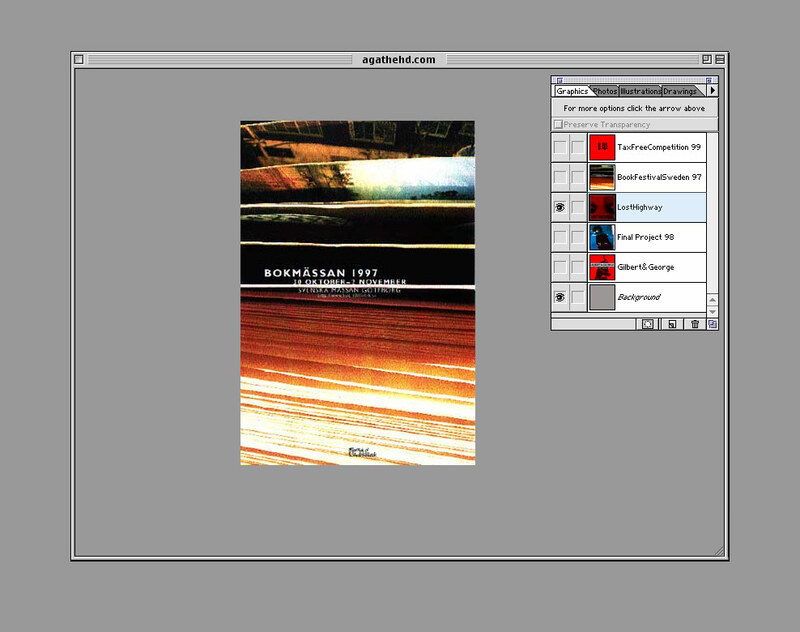 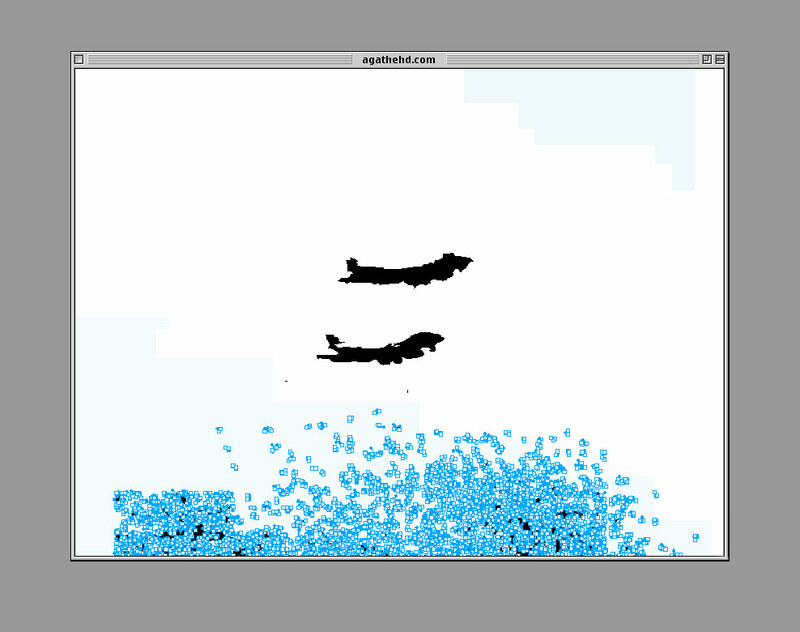 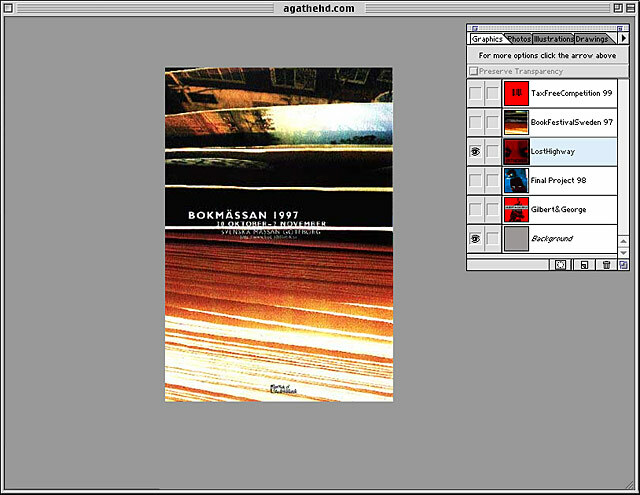 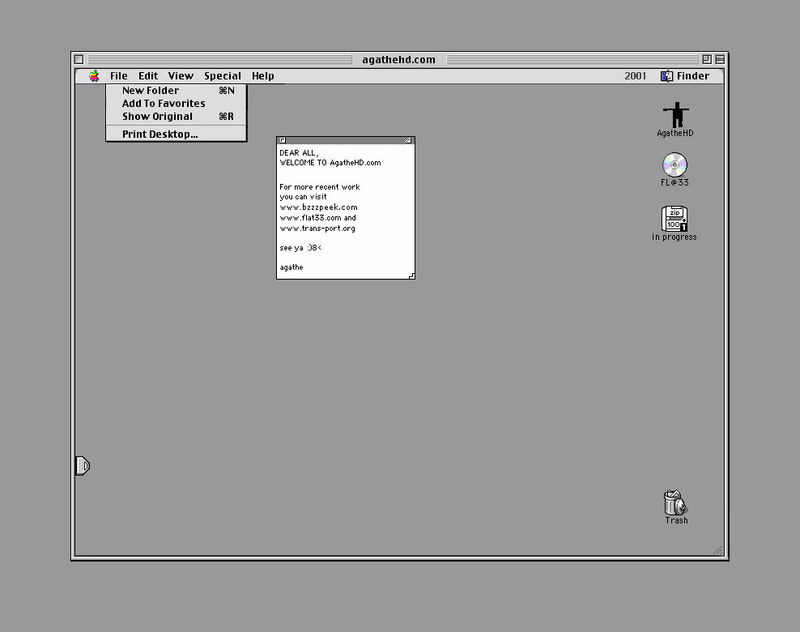 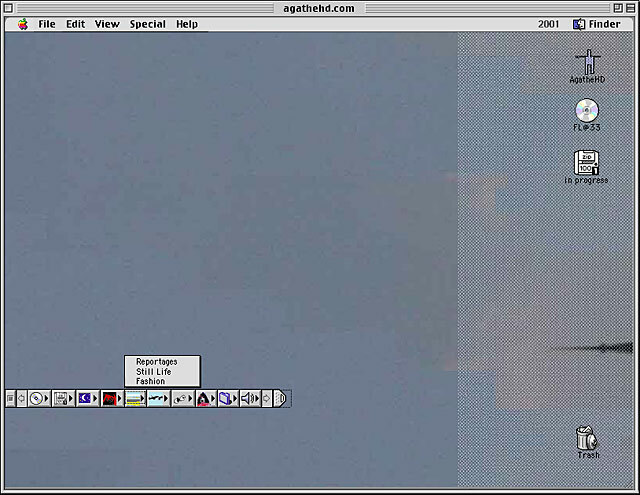 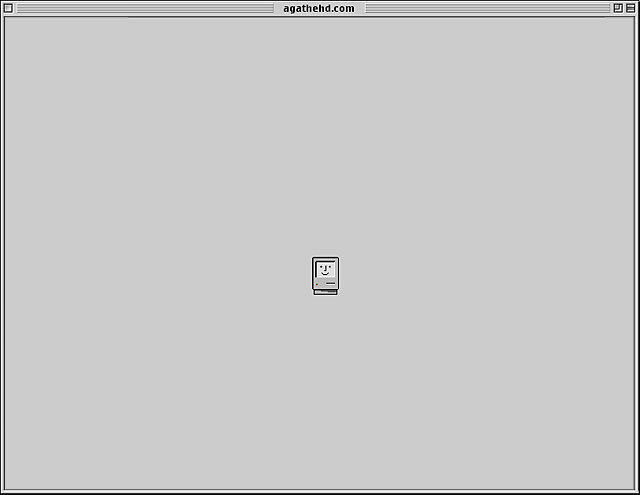 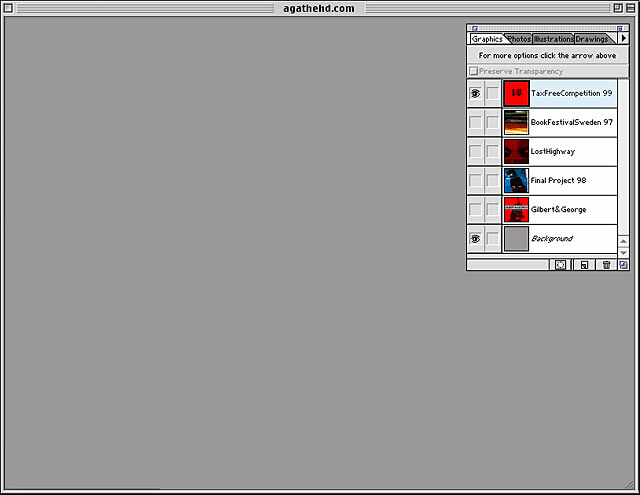 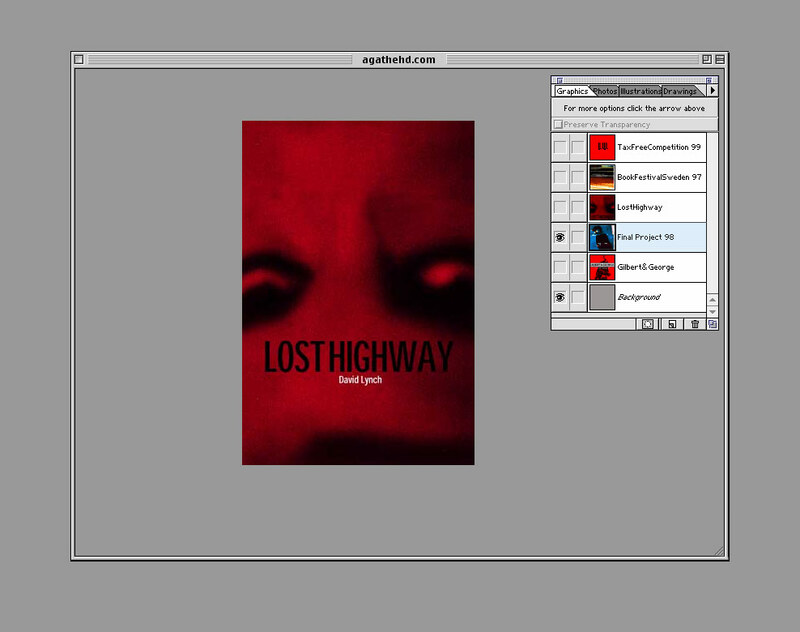 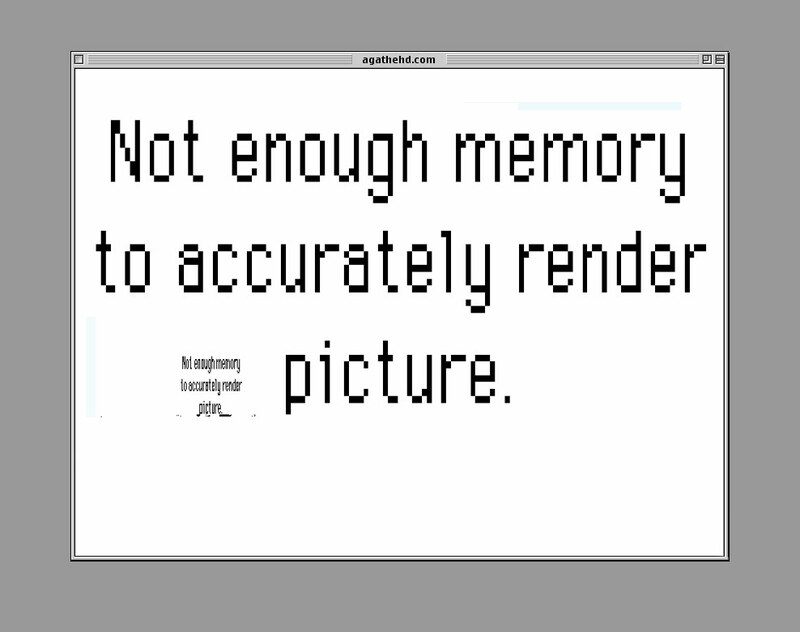 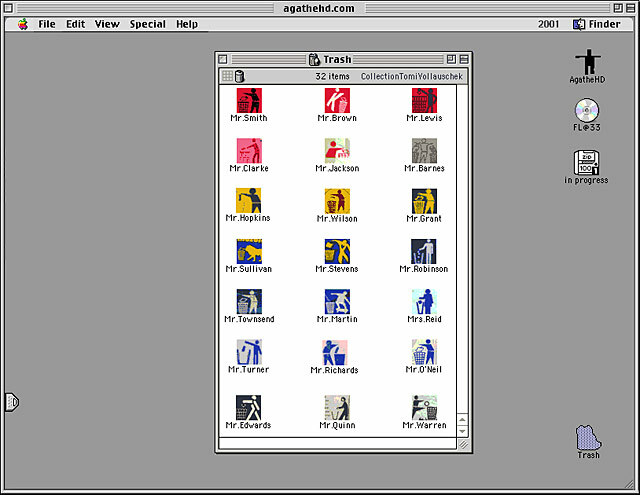 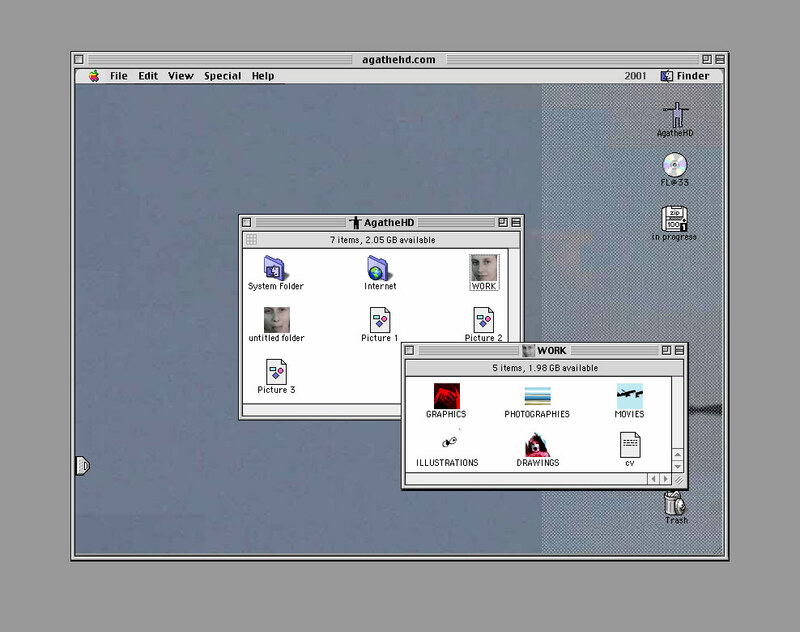 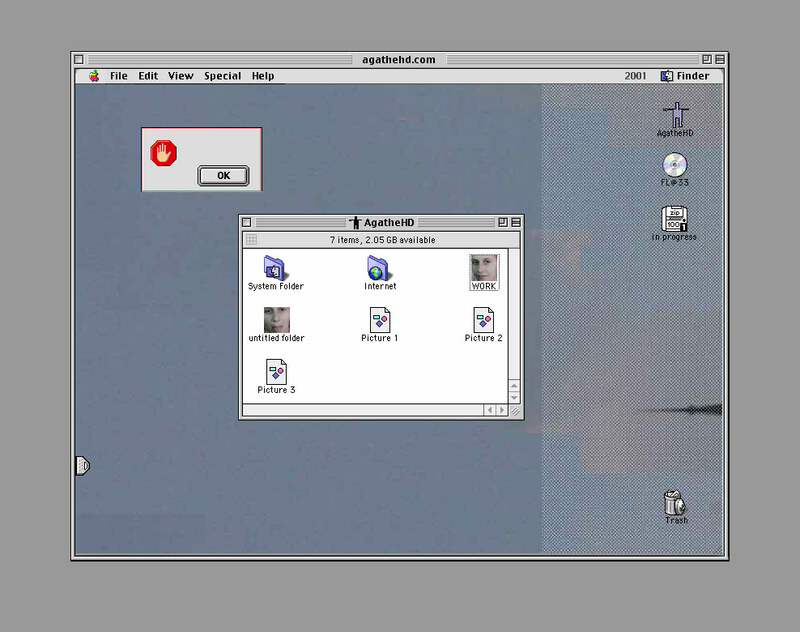 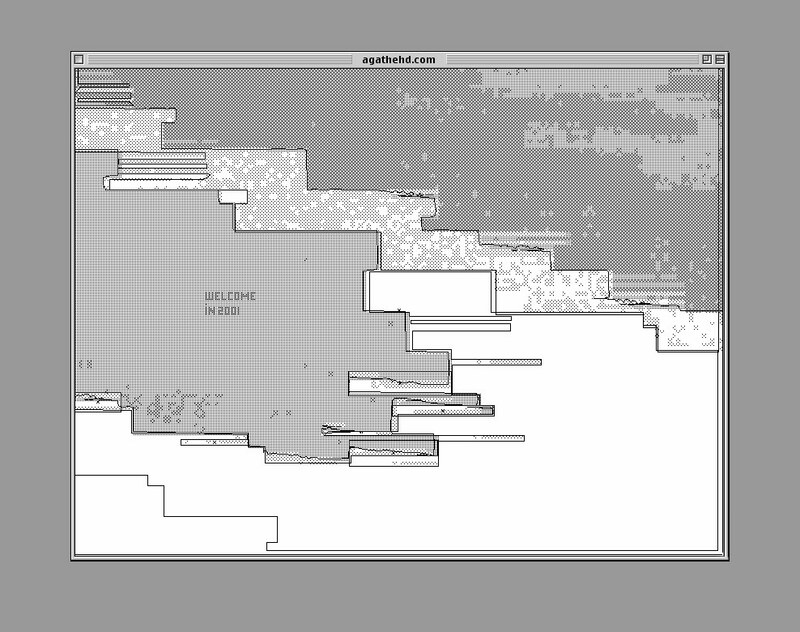 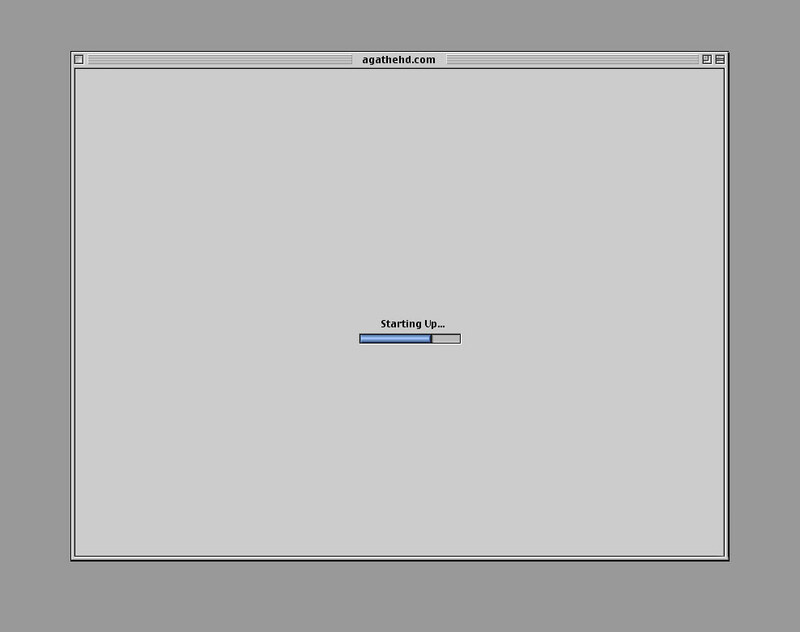 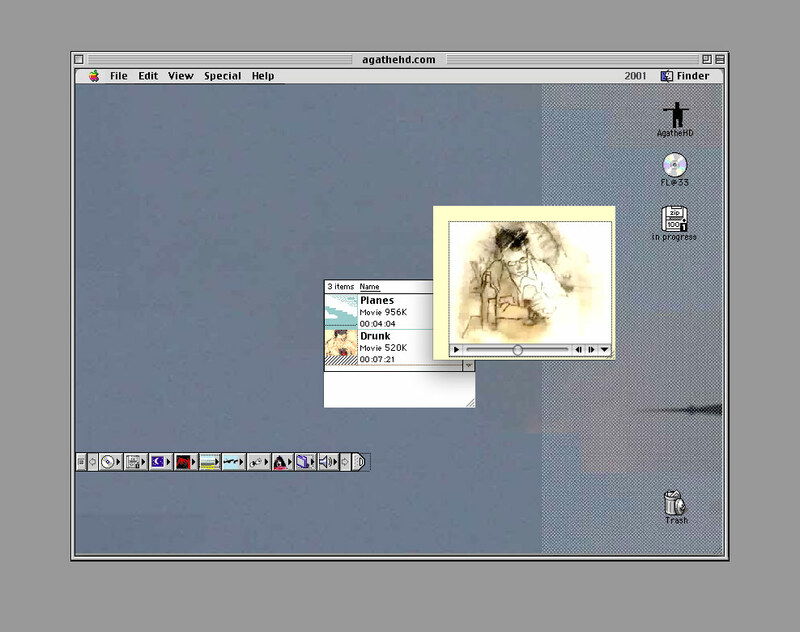 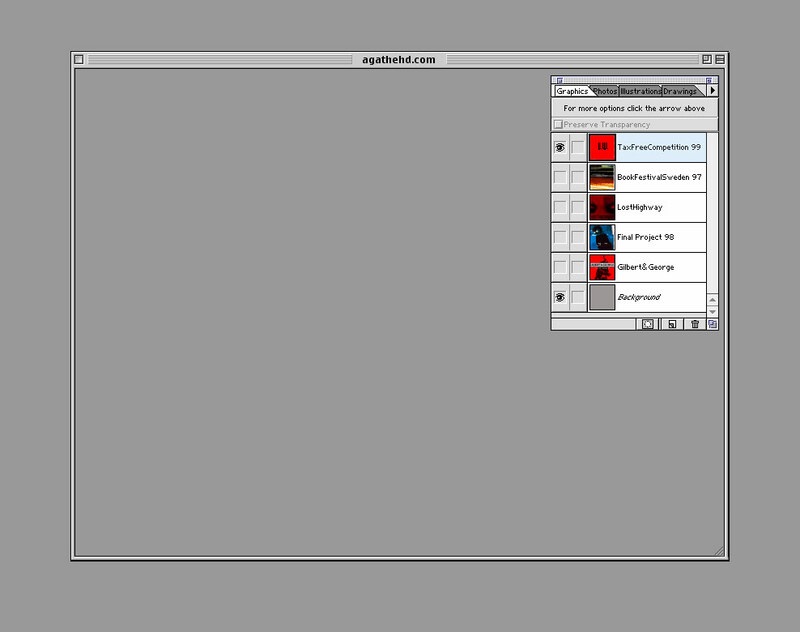 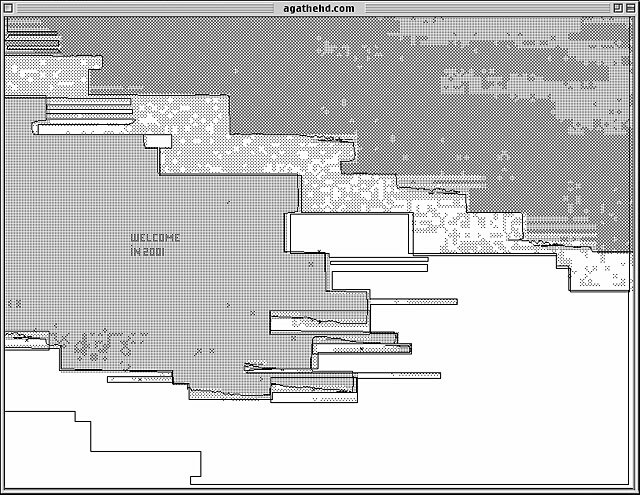 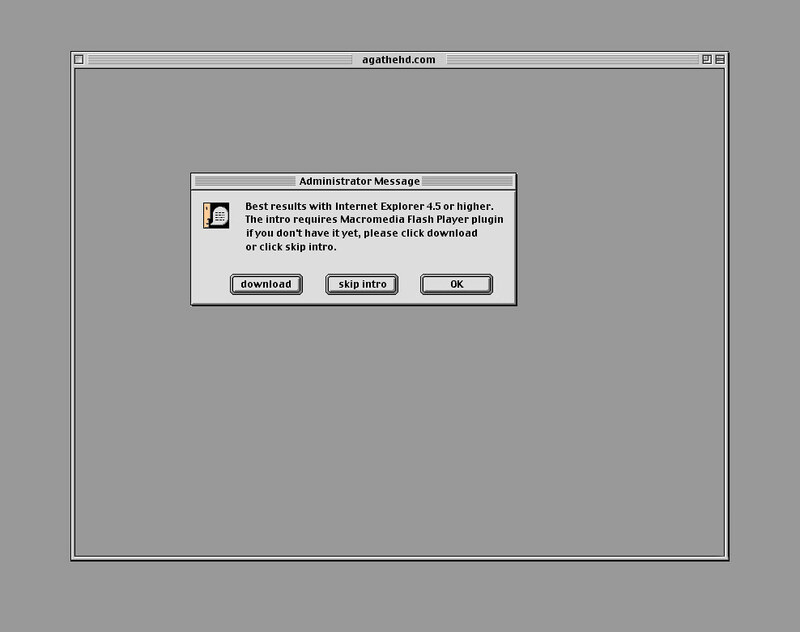 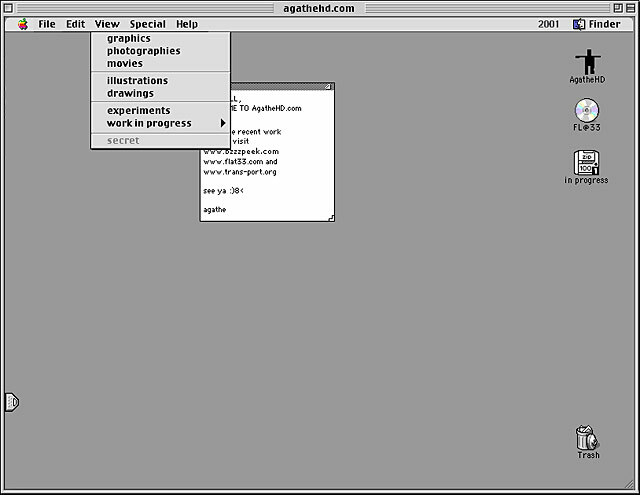 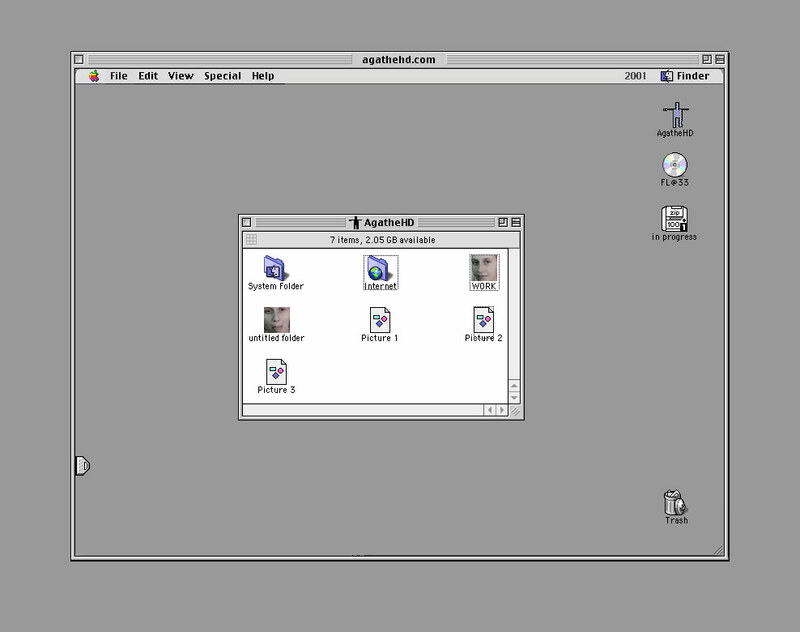 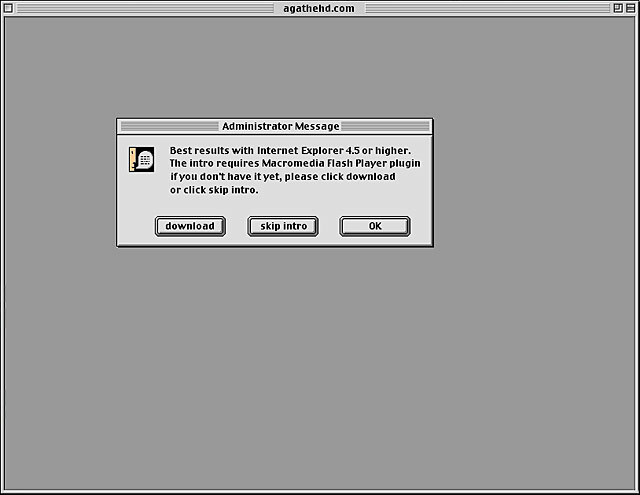 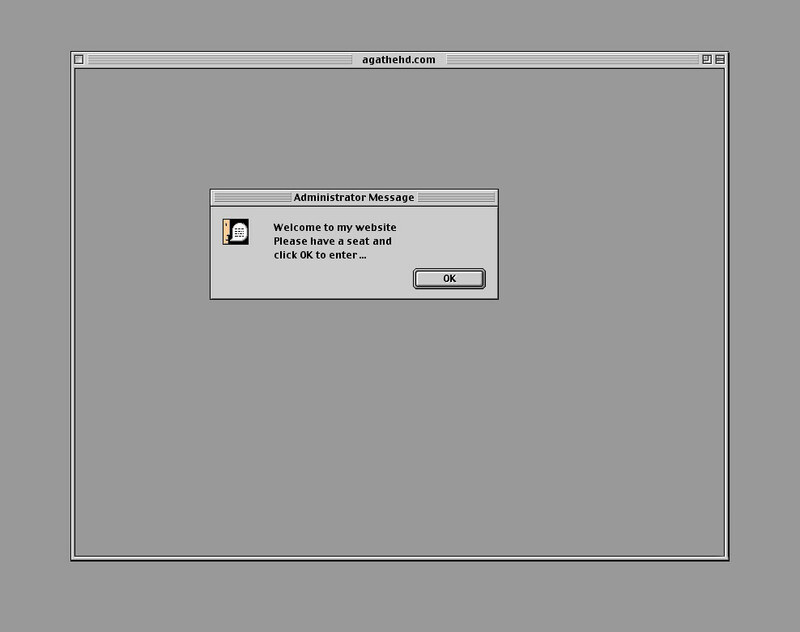 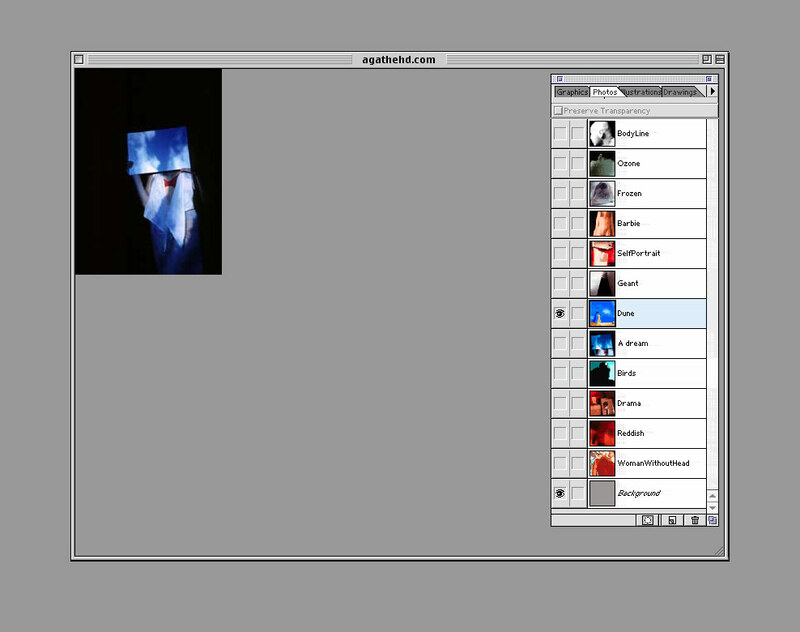 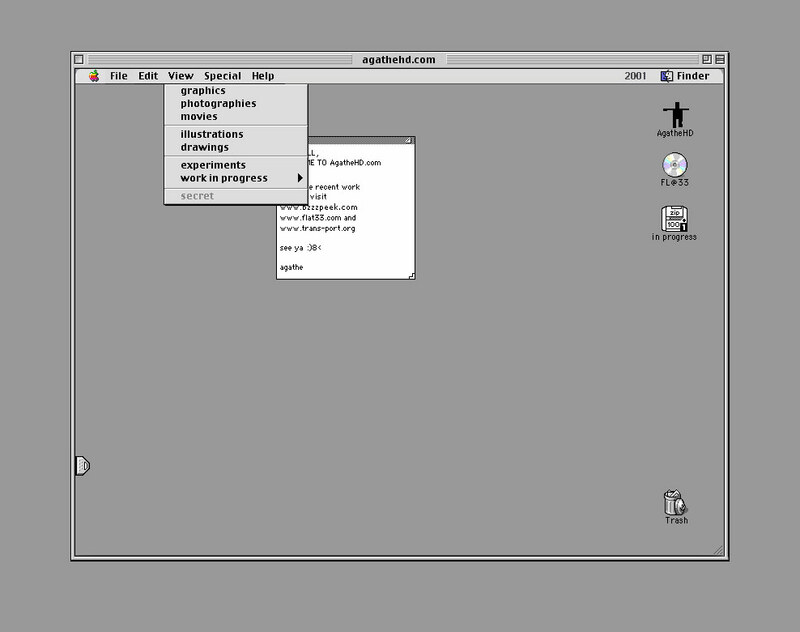 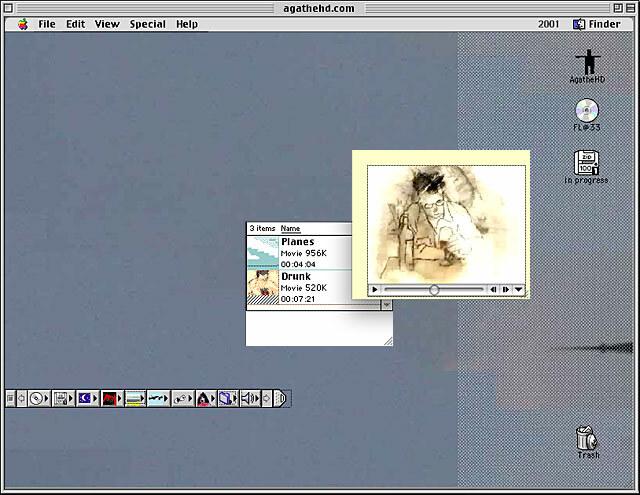 It presented projects using icons and appearances from Mac OS 9's interface and Photoshop's version at the time. 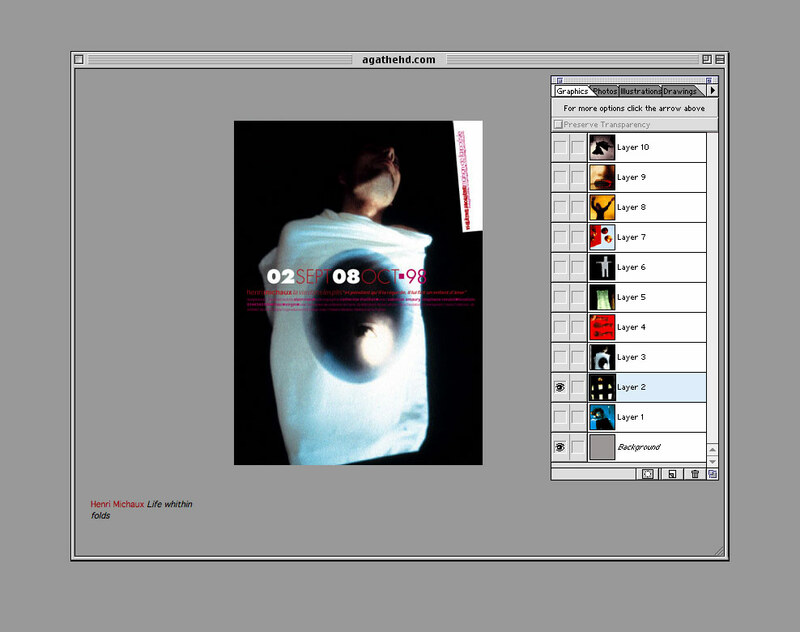 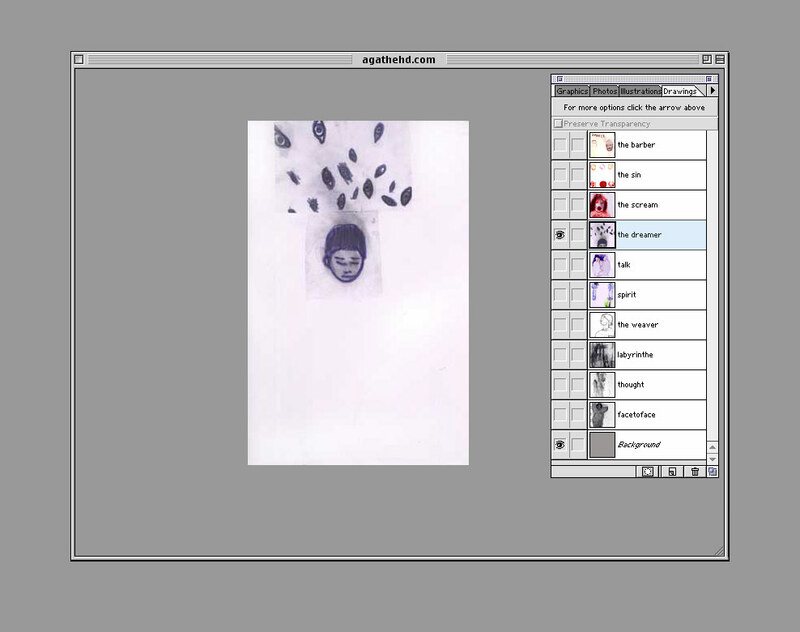 ___ This concept helped to create an instant contrast between emotionally more neutral, technological associations and Agathe's mostly analogue, often handmade experiments, illustrations and projects. 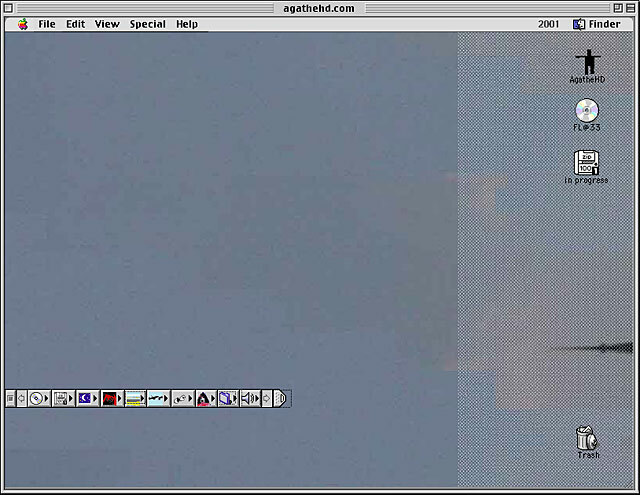 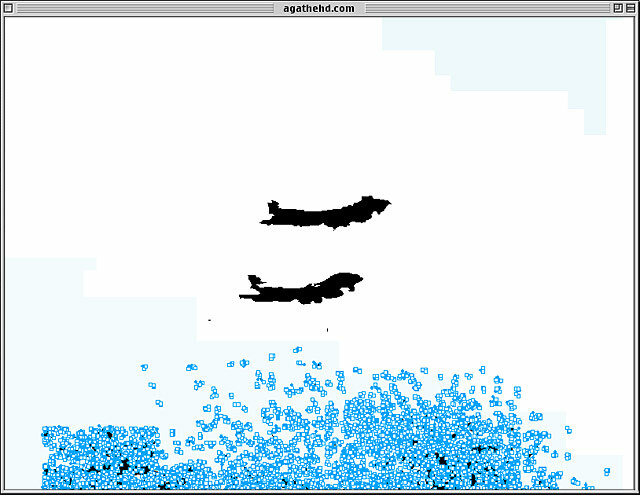 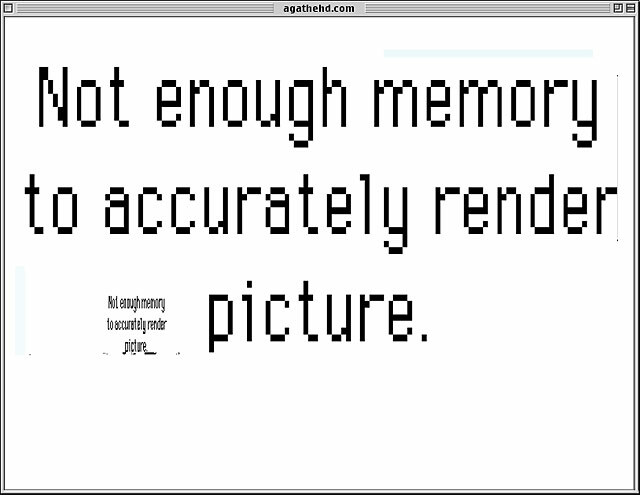 ___ The 'HD' was associated with the word 'Hard Drive' at the time – rather than the 'High Definition' we think of today. 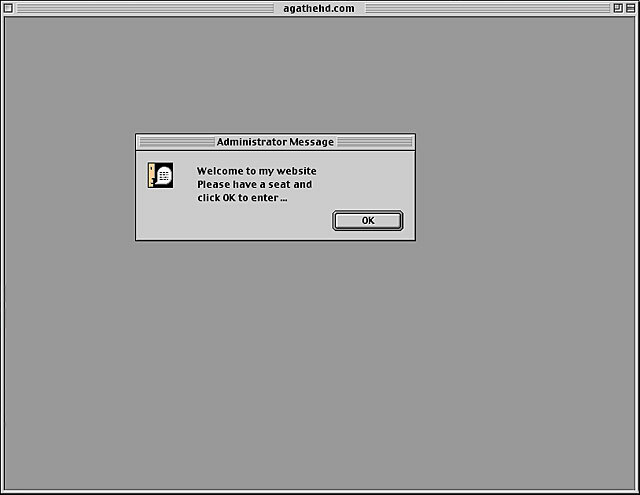 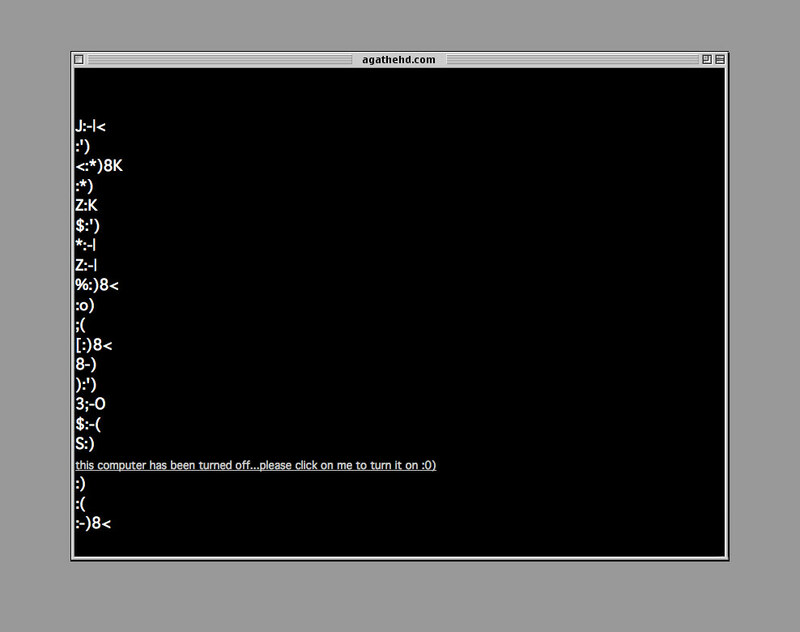 Entering the website almost felt like intruding a private environment – like accidentally hacking Agathe's personal computer. 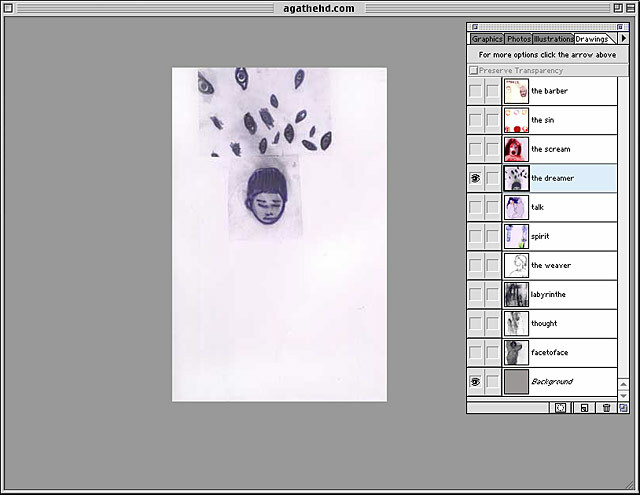 The audience was invited to explore Agathe's projects and to find the concept to be designed with the ambition to surprise the viewer with a huge amount of amusing and interesting details.